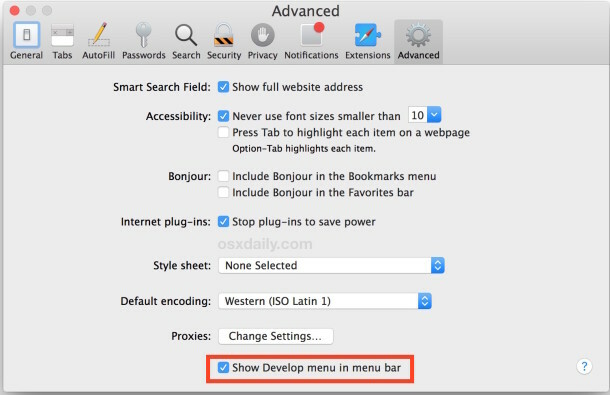 The Developer menu in Safari for Mac OS and Mac OS X is disabled by default, but it can be quickly turned on through the apps settings to reveal the additional developer-centric features of the web browser. This is the same in all versions of Safari for Mac OS X. 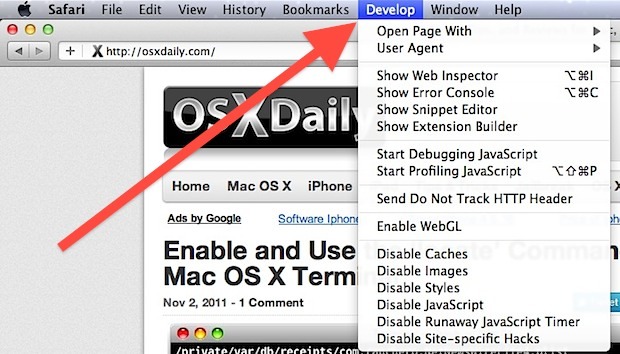 The Developer menu has been around for quite some time, but in a recent article on how to spoof an Mac OS X browser user agent using Safari or curl at the command line, we somehow failed to mention how to enable the menu… oops. Now you know. And yes, this applies to all modern versions of Safari in any somewhat modern version of Mac OS X or macOS or however it’s labeled, from 10.8, 10.9, 10.10, 10.11, 10.12, 10.13, 10.14, and beyond. It’s worth noting the Develop menu is different from the Debug menu in Safari, which can be enabled separately through the command line. Both are useful for web developers, designers, engineers, QA, security researchers, and others who work within the web industry.